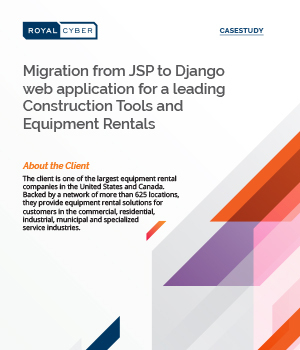 Introduction: The client wanted to migrate from JSP to Django as the site was unable to handle large user workloads. Challenges: With continuously growing numbers of users on the client’s portal, developers face the issues of performance and scalability more than ever. Solution: The client was able to comprehend the project’s architecture with very little effort saving them a lot of time and money.